An active couple wanted to keep their pre teen and teenager close to home. 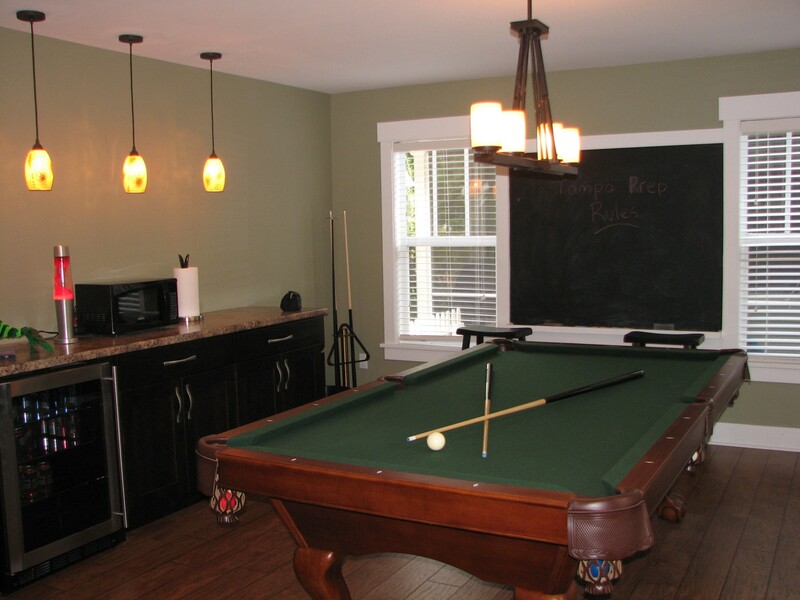 A game room that was all inclusive to both was essential. We designed and built an addition to the detached garage in the back yard. A pool table with room for video games and musical instruments was created. Mission accomplished.